Crossrail workshops to help unemployed people in Paddington - Crossrail . For information about the Elizabeth line please visit the Transport for London website. Crossrail has linked up with the Paddington Development Trust to hold pre-employment workshops for unemployed people in the area, providing them with a range of advice and practical skills to help them find employment. Europe’s largest construction project has held three workshops to date and more are planned with the Trust along with the Westminster Academy, City West Home and Action Acton. More than 50 people have attended the workshops to date with one attendee Patricia Maria, later securing employment at Crossrail’s Tottenham Court Road Station, and several others being shortlisted for job interviews. The workshops are allowing people to gain an insight into the workings of a live construction site and an opportunity to tailor their curriculum vitae, learn about Crossrail job opportunities and identify any transferable skills that may allow them to apply for Crossrail jobs. The workshops also include one on one discussions with Crossrail and contractor representatives. Crossrail is committed to creating skills and employment opportunities for people along the Crossrail route. So far more than 1,500 have taken part in one of Crossrail’s pre-employment programmes. These includes pre-employment workshops and training at the dedicated Tunnelling and Underground Construction Academy. In addition to new job opportunities, Crossrail is committed to creating more than 400 apprenticeships across the project. City West Homes, Paddington Development Trust, Westminster Academy, Crossrail and Crossrail contractors are coming together for a Jobs Fair on Monday 29th of April at Stowe Centre at Westbourne Park to highlight job opportunities to unemployed people in the local area. 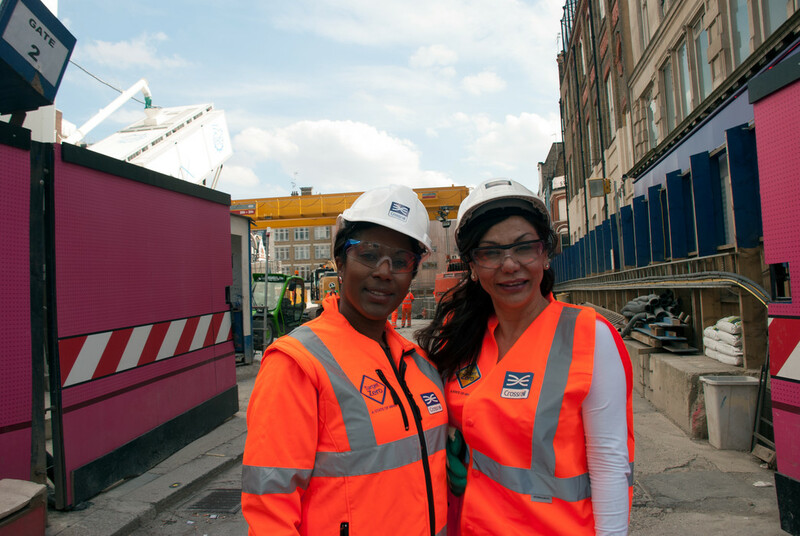 More than 50 people have attended the workshops to date with one attendee Patricia Maria (right), later securing employment at Crossrail’s Tottenham Court Road Station, and several others being shortlisted for job interviews. Visit our Community Investment Programme section for information about other initiatives our contractors have invested in. Crossrail has a total funding envelope of £14.8bn. Crossrail will pass through 37 stations and run 118 km (73 miles) from Maidenhead and Heathrow in the west, through new twin-bore 21 km tunnels (13 miles) under central London to Shenfield and Abbey Wood in the east. It will bring an additional 1.5 million people within 45 minutes commuting distance of London's key business districts. New stations are being built at Paddington, Bond Street, Tottenham Court Road, Farringdon, Liverpool Street, Whitechapel, Canary Wharf, Woolwich and Custom House. When Crossrail opens it will increase London's rail-based transport network capacity by 10%, supporting regeneration across the capital, helping to secure London's position as a world leading financial centre, and cutting journey times across the city.